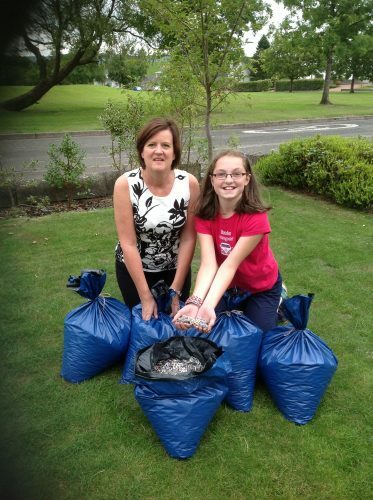 Margaret (left) and one of our ring pull collectors Ellie. To celebrate Volunteers Week and show our gratitude, this month we wanted to feature some of the amazing work done by Margaret Curness and her family and our growing number of supporters up in Scotland. Margaret is a long standing supporter of PCF and has been making it her mission to spread the PCF message in Scotland. As well as sponsoring two of our children Margaret has also raised thousands of pounds for us over the years and is a shining example of why everyday we are grateful for the amazing kind hearted individuals like her who help us to continue our work transforming lives in the Philippines and elsewhere. Margaret was moved to help following a visit to the PCF school in Manila with her daughter Brooke to meet their sponsored children. 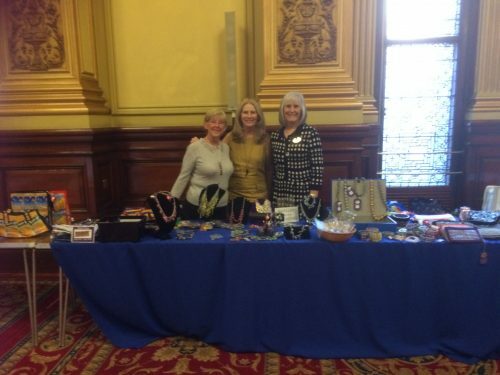 From that day forward they have helped out in all aspects of our work from collecting ring pulls (left), to speaking to various groups from the Scottish WI to Brownies and Guides as well as selling our products at every available opportunity. 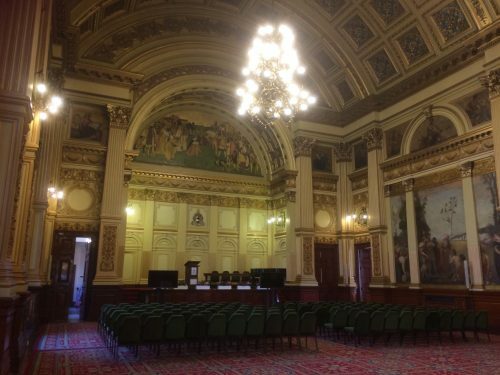 Including a recent sale for Glasgow Inner Wheel at the beautiful Glasgow city chambers. 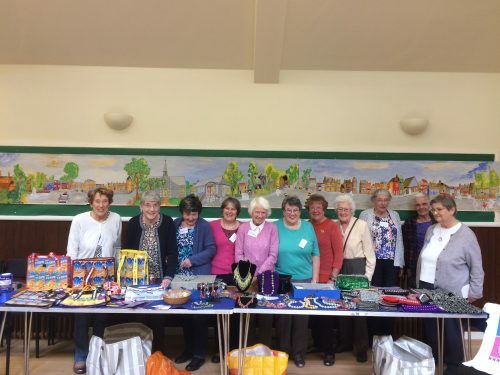 The Scottish Womens Institute described Margarets presentation as ‘a very thought provoking talk’ and they were all delighted with the goods they bought. 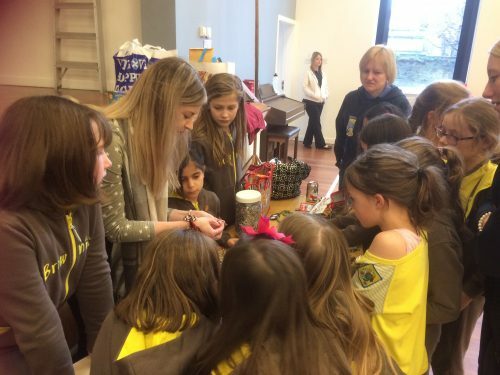 Brooke teaching Girl Guides how to make ring pull bracelets. Here at PCF we feel so blessed to have Margaret as part of Team Purple and we would like to extend our sincerest thanks to her and Brooke and all those who assist them. Ladies it really is people like you who make all the difference. We also want to thank each and every person in Scotland who has helped make this possible by offering venues for talks, buying our products, helping out with sales and of course collecting ring pulls. Margaret and Brooke would not be able to drive things forward without you and we are so grateful. Together we can spread the Purple Movement all over Scotland!